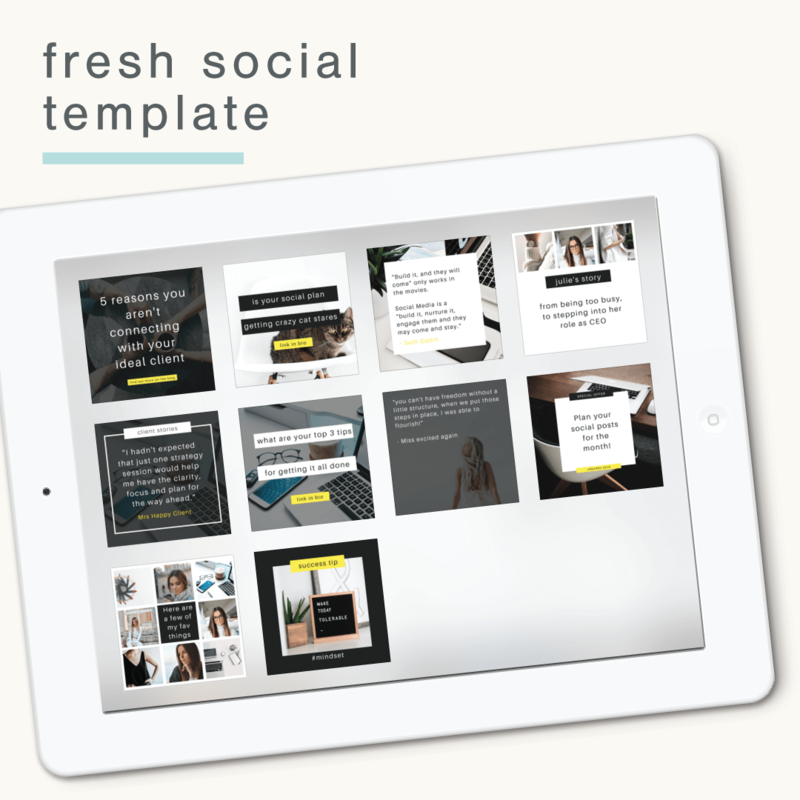 I have just created a fresh batch of social templates! They are still hot, straight out the branding oven! I created them – because so many of you are looking for an affordable way to keep your brand consistent. 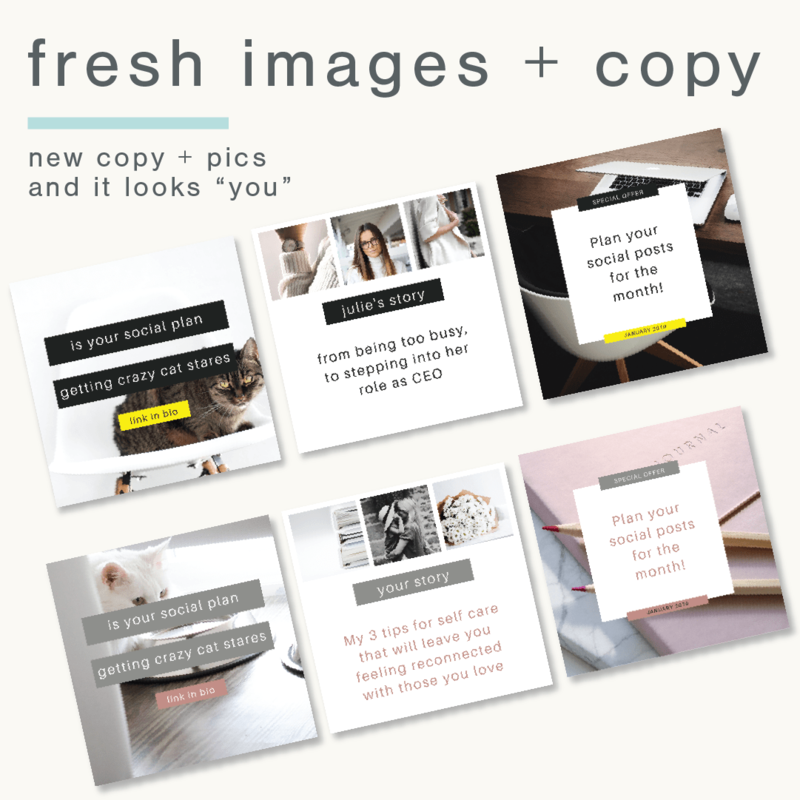 With this batch of templates, you’ll be able to really get super visible! Change the wording to a hot topic you want to be visible on! or… do you want a social makeover? I have a pretty sweet promo on right now, just for you! // Your “social presence game” needs a pick me up! Then take a look at what I baked up for you today!!! EEEPPPP!!!! [I’m literally so excited to share this little “social refresh” with you!! 👀 What will you get with your SOCIAL REFRESH? 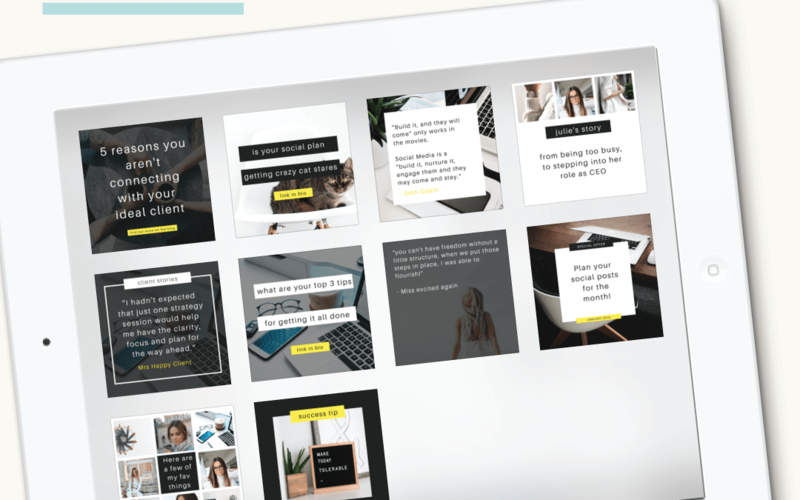 to chat through your biz + what you’re focusing on, and branding [colors, fonts]. Fill in the form below, and the social makeover could be yours! 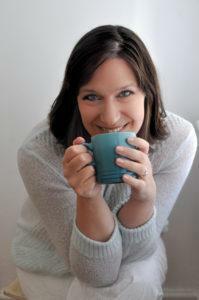 What is your business about + who do you serve? Why should I chose you for the makeover?